CHICAGO: Music will set the people free,,,,,,,,, eventually. Let’s face it Chicago is one of the top cities in the country, if not the world to hear the blues. People come here from all over the world because of it. I kept my eyes and ears open at the Chicago Blues Festival this year and to my surprise I met people from, Denmark, Italy, Austria, Belgium, France, Japan and China and the list goes on. Blues music has reached the far corners of the globe. The blues can be heard in some of the most unlikely places such as New Zealand and Saudi Arabia. 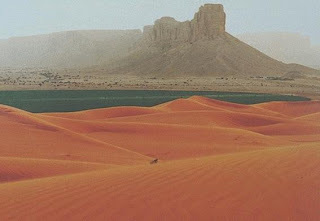 I recently received an email from a young man in Saudi Arabia. I have established a very nice presence on Facebook,Twitter, MySpace and Live Blues World. 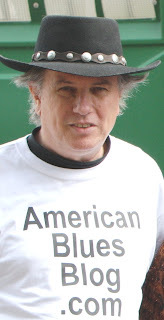 American Blues Blog's Live Blues World site is here. I use them primarily to keep in touch with not only USA blues artists, but artists throughout the world. I post on Twitter using text messaging sent from my cell phone. Most of the time the text messages read something like "The Joint is rocking" or "This group is hot." Short messages are the norm, because Twitter only allows 164 character posts. Two weeks ago I put a post up on all the networks. I was struggling with a storyline for a blog post and I needed to think of something fast, so I asked if anyone had any stories or ideas. This Saudi Arabian guy emailed me with about fifteen different ideas and some of them were and still are very interesting. I was working on a reply email when suddenly an idea popped into my head. I wrote, thank you for your nice suggestions, but I am very interested in what the blues scene is like over there. Two days later I received this email. It is quite insightful. Most western music that's played here is Hip Hop and R&B, and heavy metal. Hip Hop looks like it gonna stay for a while. Heavy Metal looks like it’s on its way out. There's a considerable amount of people playing that kind of music, but they are their own audience. Now, something interesting seems to be taking place with the blues here. Whenever I have played, be it at a gig or just gathering, people have responded to it very strongly. This is obviously because of the familiarity that comes with the Blues, and also, cuz the music itself sounds good. So things are looking somewhat promising. 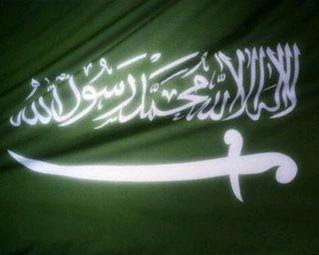 The festival (Saudi Arabian Cultural Festival) is to promote tourism in SA. All in all 700 invited attendees, mostly from Europe and the States, between ages 25 to 55. Going to last all the way from Aug. 1st to Sep. 30th. Three days a week on Wed., Thu. and Fri. Thursdays and Fridays are the official weekend. Local and international press coverage, or so I've been told by the production agency. But the blues performance itself will be by just me and the boys. Apparently, it’s being organized by some real big shots, which is what it takes for a gig to occur, without getting raided by the religious police. So far limited in number, but devout and growing. I myself play rhythm and lead guitar and the harmonica. Just found a Canadian guy who knows all Muddy Waters numbers by heart! The two of us are jamming tonight. Also, my ad on a XXXXXXXXXXX .Com has helped. Quite a few people have responded, and I don't mean to sound like a p***k, but I had to kind of separate the wannabees from the real deals and so far have ended up with two very good blues musicians, which is relatively good progress. As you probably already know, getting a gig going here is like is a real PIA. Music is considered forbidden by the conservatives, a lot of whom throw a lotta weight around, to say the least. But then you've got the liberals who are trying to get things going. We're counting on them. I'm just in it for the music. I used to be into rock, wrote 6 songs in that genre that were about to get recorded, but then I just converted. I don't even know how it happened. It's like it was always in me, and just came out when I was ready. I did not reveal the man’s name and x ed out identification areas for obvious reasons. In some areas of the world music is not allowed or deeply frowned upon. I visited the middle east while serving in the US Navy. The country I went to was Pakistan. I know from experience how some regimes control and suppress its populace. The Saudi Arabian blues artist is most assuredly paying his blues dues. "Blues Me Or Lose ME"
PS. Any body in unusual places of the blues world please let me know where. I would be very interested in your story. Your town and or village may show up in my book.